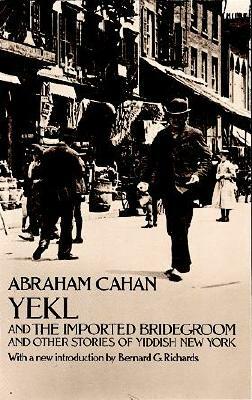 "Yekl" (1896), the first novel upon which the much acclaimed film "Hester Street" was based, was probably the first novel in English that had a New York East Side immigrant as its hero. Reviewing it, William Dean Howells hailed Cahan as "a new star of realism." Description: 240 pp. Light thumbing, spine uncreased no markings. Introduction by Bernard G. Richard. A collection of six stories. Title story was basis of the film "Hester Street." Cahan was the longtime editor of Jewish Daily Forward. Size: 8vo -- 8.75 in.